Thought I would try something new today. I was thinking how to cut down on the milk. I would only buy full cream fresh milk. All those low fat, non-fat milk are not for me. 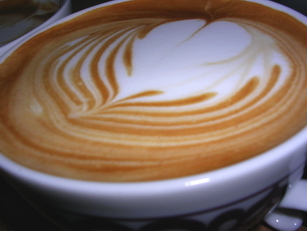 Trust me, if you want to have a nice cappuccino or latte, only full cream fresh milk will do justice. They are smoother, sweeter and just yummy. 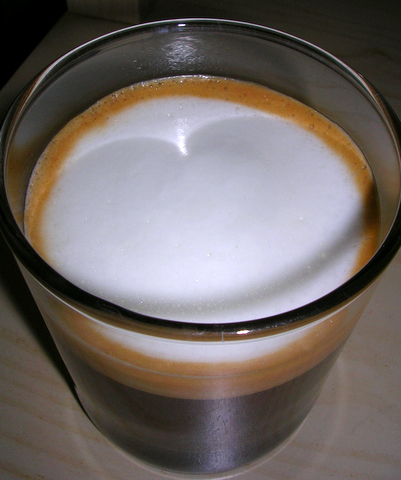 But then, with my “middle-kingdom” expanding, I need to come up with alternative to full milk-based espresso drinks. So, here is it. 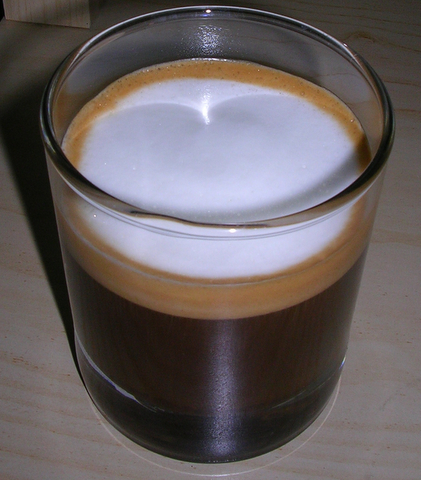 An AmericanoMacchiato. Hmm.. looks great, strong and full bodied. 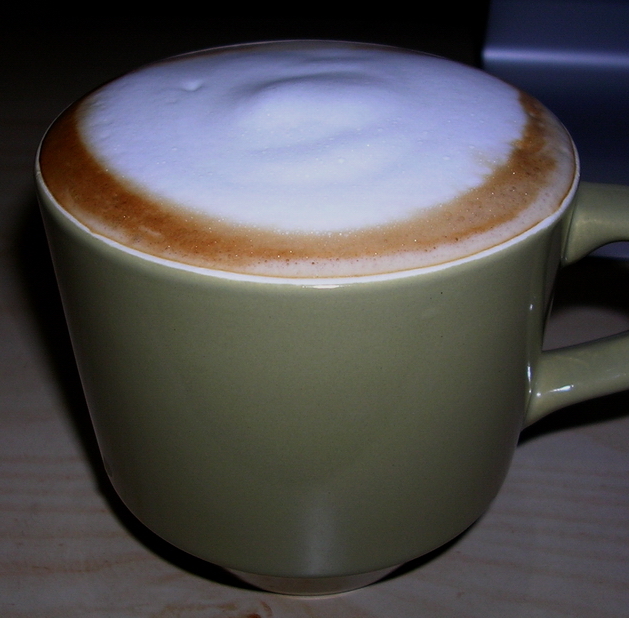 Unlike the latte or cappuccino I used to make, which is sweetened by the velvety frothed milk, this one is bitter. Put a teaspoon of sugar. Much better. Not to my liking though. Never liked Americano nor Kopi-O. I rather have a straight shot espresso. Sigh, need to think of another alternative. This entry was posted in Coffee, Malaysia on July 22, 2007 by KF Chan. 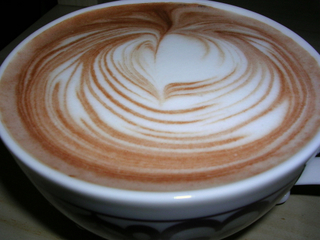 A Mocha Latte with simple design. A cup of Hot Chocolate close to the heart.. This entry was posted in Coffee, Malaysia on July 17, 2007 by KF Chan. 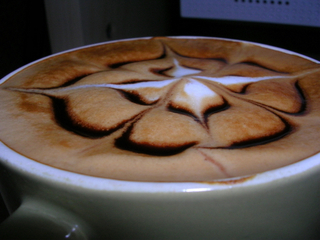 This entry was posted in Coffee, Malaysia on July 11, 2007 by KF Chan. This entry was posted in Coffee, Malaysia on July 7, 2007 by KF Chan. 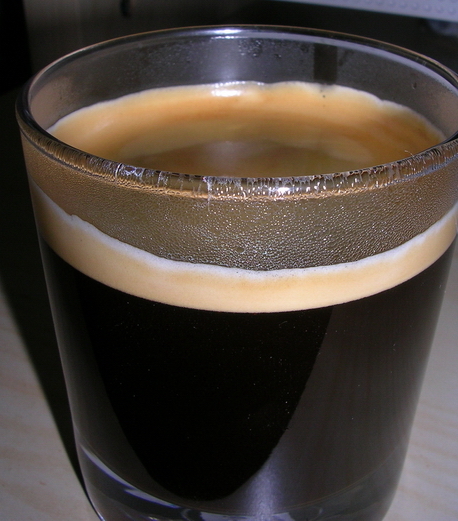 Now, this is a single shot of espresso… using beans that is about 1 month from roasting. Check out the crema. That’s more then 1/2cm. 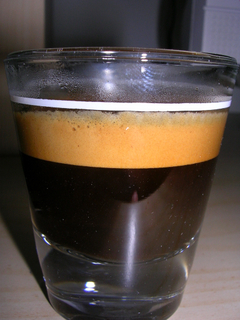 Espresso from all the major chains, you will probably find crema that is only 2mm thin. Bought it at the Curve. The company selling it is ETC. They have a lots of Expresso Machine suitable for home users. This entry was posted in Coffee, Malaysia on July 6, 2007 by KF Chan.